Welcome to MEVO. Here is a good place to start. Nice car and nice mileage. The BBK setup isn't doing anything for performance but if its already on there and isn't causing issues then dont' worry about it. BBK is very hit or miss with their throttle bodies as far as quality and operation. -New axle side upper control arm bushings and new STOCK upper control arms, you need the stock ones in there to allow the suspension to flex, otherwise it'll bind up and you can get snap oversteer. -Blistein makes good shocks and struts for sure, Konis are good too. I'd replace the SR springs with Steeda Sport or HR Red springs, new isolators and if you don't have CC plates yet get Steeda or MM 4 bolt ones. -Subframe connectors are required, Steeda, MM, Global West are all good. Now, at this age the rubber in the front is likely all shot to hell too so new A arms, new balljoints and new tie rod ends/swaybar endlinks are a good ide as well. Stock replacement A arms with OEM style balljoints are cheap on Amazon at $80 per side and work well. You can also go with the BMR A arms if you want to go all out although for a street car that's probably overkill. Obvioulsy a good set of wheels and tires too. Besides that just basic routine maintenance. Do the plugs, rebuild the OEM COPs with a $35 rebuild kit, all fluids and check around the plastic area of the intake manifold where the metal crossover bolts to the plastic to make sure its not leaking since those areas warp over time. Ratchet shifter... I wouldn't, with a good tune and a j mod the computer will shift faster than you will. Really only a good idea for a manual valve body car. More power? There is hardly any bolt on power to be had for these cars and you already have it with longtubes and full exhaust. CAI/Pullies/MAF/TB... all of that does nothing. Full exhaust and tune and you get 250-260 at the wheels. Next step is cams which I would do the MHS Stage 2 NA cams and that'll get you up to 280rwhp or so. After that its power adder or a full build. Oh, tune. Get a good tune. And by good tune that means not bama. A good remote or dyno tune is what you want, not a "tunes for life" package that is just generic canned tunes. Thanks for all the advice really appreciate it ! 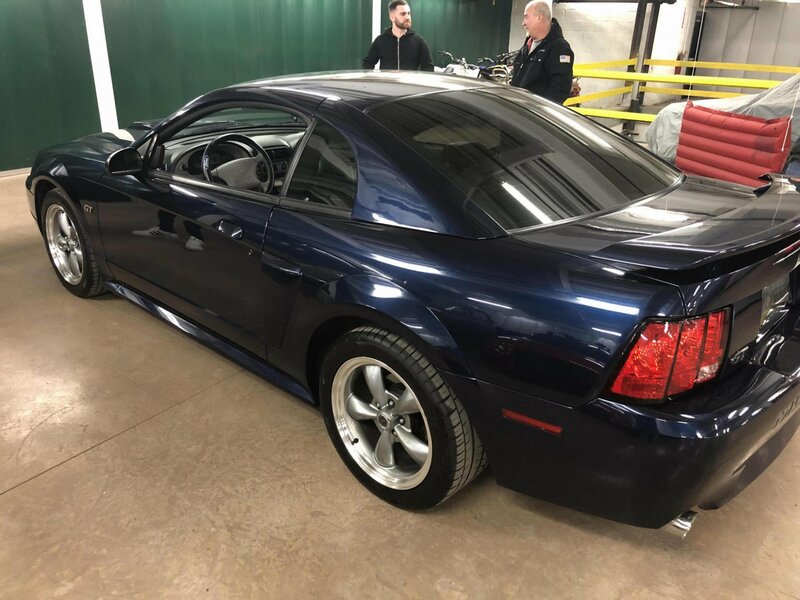 And yes I’m looking to get an actual tune done the last owner just did Bama tunes I believe and I have started looking into cams already just need to find a good shop around me I’m in Pittsburgh PA.
She looks sharp! Very clean and a great color too. Welcome! Will the bilsteins be ok with the steeda lowering springs? Appreciate all the advice ! Will the bilsteins beok and work well with the steeda lowering springs? Adjustable or non adjustable rear lower control arms? Bilsteins would be great for any springs. I don't know if I'd buy adjustable rear LCA's unless I had a reason; like lowering the rear even more than the springs do or dialing in the rear for track use. Mainly because they cost more than non-adjustable LCA's. For the front, you would want to check to see what options you have if getting a new K member vs. keeping the stock K member. Maximum Motorsports has great suspension parts for newedge and foxbody cars. 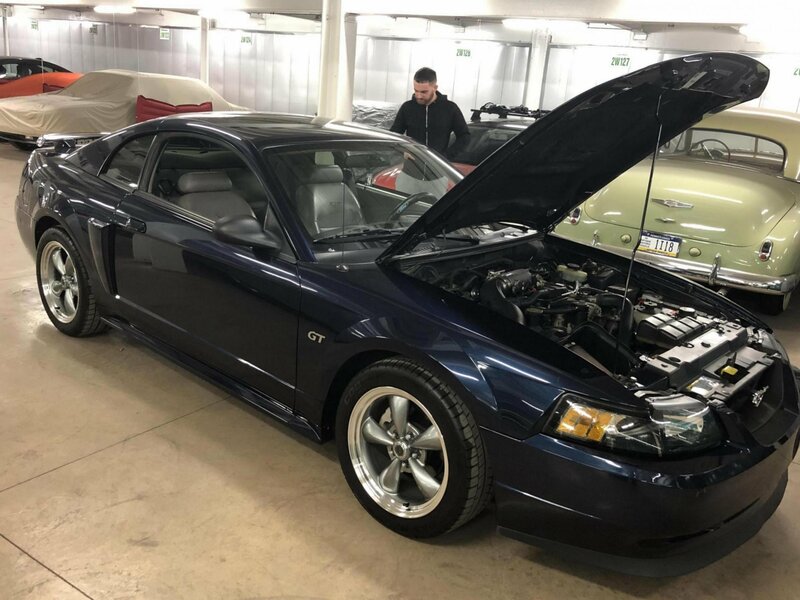 Whether you buy their parts or not, their website is chock full of information on suspension that can help you decide based on what you're planing to do with your Mustang. As far as tuning goes, make sure the tuner is unlocked. I'm not sure how to determine that, but I'm sure someone knows on here. I would then go with a tune from someone other than Bama (American Muscle). I'm sure someone will provide a list of tuners regularly used on here. I have an email tune from Lasota Racing. They have many years of tuning modular Ford engines. Thanks for the help I’ll have to look into more tuning. And I was figuring on the non adjustable just wanted to check. Welcome Aboard from Cutler Bay, FL. 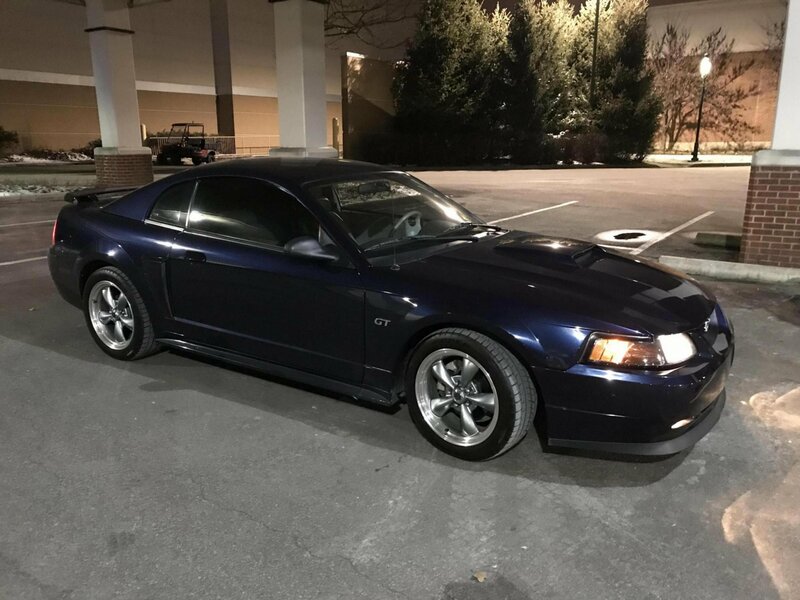 2007 GT PREMIUM. CUSTOM TUNE by "MUSTANG SPECIALTIES". STEEDA INTAKE, MAGNAFLOW COMPETITION FULL EXHAUST, LT. HEADERS, X PIPE, STAGGERED WHL 22X8.5F-22X10R. That's a nice find, very neat looking and low mileage.